What does it look like to work with a Business Coach and Strategist? You’ve heard somewhere… cue all the other coaches who are killingit online that if you want to fast track your online success you need some 1:1 help. First off, what's the difference between a coach and a strategist? A coach will work with you to show you HOW to get something done. A strategist on the other hand is someone who helps you come up with a game plan, a strategy to accomplish a specific result. You can see why both are so amazing and can definitely do wonders for your business and that's why working with someone who is both a coach (facilitates you doing something - launch your coaching business) and a strategist (creates a customised strategy to help you accomplish a specific goal - attract and book more clients) can be such a big deal. So that sounds good, but I know deep down there are still a few fears holding you back. Let's talk about those shall we? Thing 1: You don’t know if you have the time to really work with a coach right now. I mean, there’s that thing called life - you’re busy - do you really have time to spend working 1:1 with a coach? To answer your question: when we work together you’ll need about 2 hours per day getting started. The more systems and processes you implement the less time you’ll have to spend on the behind the scenes of your business. Clients on Autopilot is all about: Working smart once and then let your work continue working for you. Thing 2: Is it really worth the investment to work 1:1 with an online coach and strategist? The alternative is: join an expensive group program (the few I’ve seen who may give you most of what you need will run you anywhere from $5500 - $19,000) and that’s without customization, without 1:1 support and without me working my “magic” with you for an entire 90 days to ensure that you build your business right the first time. OR: you can buy a course about every single thing we’ll implement and run yourself dangerously close to $8,000 and still be confused and completely overwhelmed at the end of it all. Thing 3: Couldn’t you just buy a course and figure it out? You could. But if you wanted a “course” that will teach what we will implement it would be pretty hard to find. What you would need are several courses and several months going through these courses - learning, testing, tweaking… pulling your hair out and depleting the coffee supply in your area. When we work together it’s all customised FOR YOU and to your business. You aren’t combing through tons of information trying to figure it out - you’re learning (it’s being done with you so you can do it over and over again) but you’re also taking action, so that at the end of the 90 days together you have a full business that’s capable of attracting clients on autopilot over and over again. Thing 4: Does it really work? Will this program really help me build a business that can attract dream paying clients on autopilot? Yes, yes, and a resounding yes bearing in mind that this all depends on you showing up, doing the work and being an action taker, however this 1:1 coaching program is not theoretical. 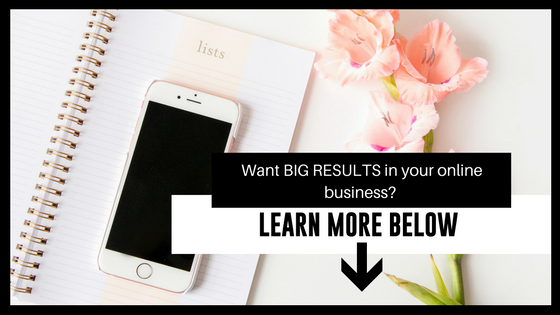 I’ve used these exact steps and this exact framework to build my own coaching business, my clients have used these steps and now you will use them so you can finally feel confident in your strategy and in growing your business. The reason why most women coaches fail to see the results they’re looking for is because they spend so much time learning and not enough time executing. That’s why when I work with my clients it’s all about IMPLEMENTATION. I like to call my coaching packages (done with you packages) because unlike most coaches I don’t tell you what to do and then send you to hunt around on YouTube or Pinterest to figure it out. Every week we get on a call where we share screens and take action or we hash out strategy and define specific action steps that we work on together throughout the week. I work with you and get everything set up within 90 days. Every step has the time built in to execute in more than one way.Need to set a tool up to finish your funnel and you can’t figure it out? There is a tutorial video for that or we get on a video call where you share your screen and I walk you through it step by step. And you get lifetime access to those materials. And the best part I’m only an email away so if you need an answer, if you need help you can get in touch with me via a clients only email address. WHY am I so high touch and hands on with my clients? I’ve been where you are: building a business and trying to make every dollar count. I’ve been where you are not knowing which step came first and where the other steps were supposed to fit. I’ve spent YEARS and THOUSANDS of dollars figuring all of this out and I know that the secret sauce is having an expert, someone who has been there and done that before, work hand in hand with you and guide you step by step in the right direction. It’s not about more information it’s about the right information. It’s about taking the right steps at the right time, it’s having a blend of strategy and execution that can only get you the results you need for your business and that’s why Clients on Autopilot is the absolute best fit if you’re ready to work with a coach to build your online sales machine so you can start attracting and booking clients on autopilot. I have 2 spots available this month to work with me 1:1. Click here to secure your spot and start attracting clients on autopilot. Older PostWhat does it really Mean to Book Clients on Autopilot as an online Coach?